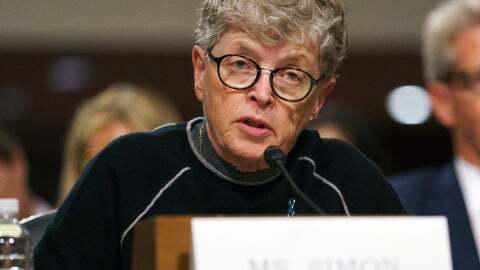 The charging by the Michigan attorney general’s office of former Michigan State University President Lou Anna Simon with lying to police is the latest fallout from the sexual assault investigation of now-imprisoned gymnastics doctor Larry Nassar. — Former California Congresswoman Mary Bono was hired in October as the interim president for USA Gymnastics only to resign four day later. Bono said she felt her affiliation with the embattled organization would be a “liability” after a social media post by Bono criticizing Nike and former San Francisco 49ers quarterback Colin Kaepernick drew widespread scrutiny within the gymnastics community. Six-time Olympic medalist Aly Raisman had also questioned Bono’s association with a law firm that advised the organization on how to handle portions of the Nassar scandal. — Ron Galimore: The longtime USA Gymnastics chief operating officer resigned last week but denied any wrongdoing in the Nassar scandal. The Indianapolis Star reported in May that an attorney hired by USA Gymnastics directed Galimore to come up with a false excuse to explain Nassar’s absence at major gymnastic events in the summer of 2015. The organization was looking into complaints against Nassar at the time.